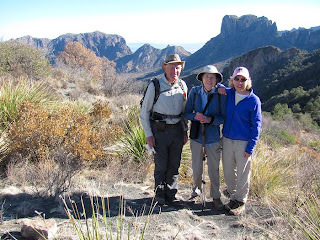 Hiked today from the Chisos Basin to the South Rim (Chisos Mountains). 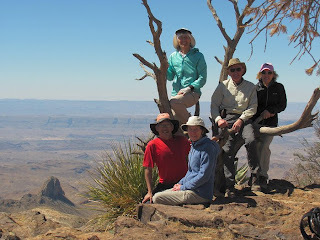 12.1 mile loop hike. 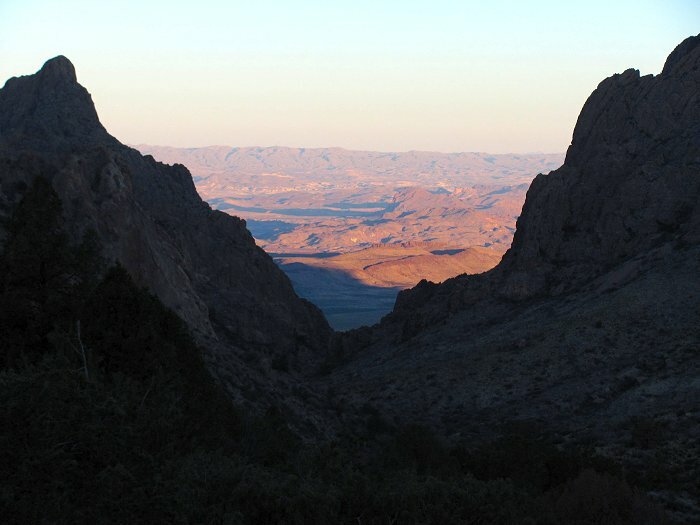 Started at 8:00 AM from Chisos Basin and caught this view of sunrise through the Window. 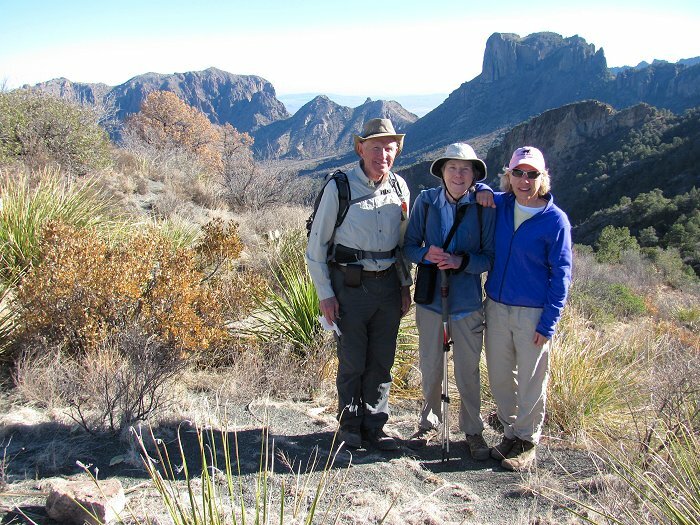 At the "top" of the Laguna Meadows Trail, about 3.5 miles and 1,600 vertical feet up from Chisos Basin. 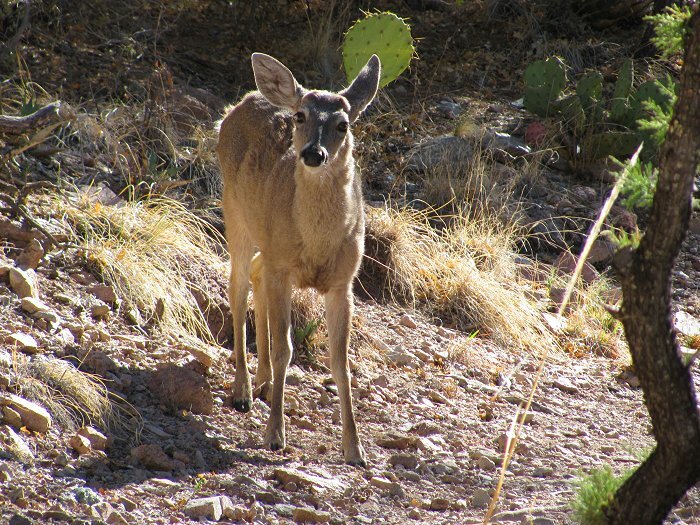 Deer on the trail near the junction with the Colima Trail. 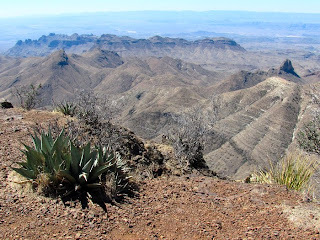 The view south toward Mexico from the South Rim, Chisos Mountains. 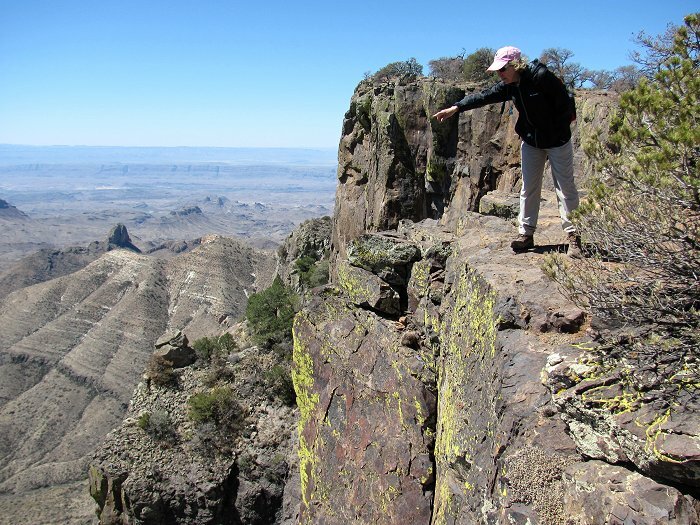 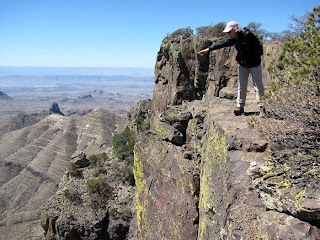 At the precipice, South Rim, Chisos Mountains, Big Bend National Park.